Three-component cyclocondensation of primary aliphatic amines and amino derivatives of maleopimaric acid methyl ester with formaldehyde and carbochain (1,2-ethane-, 1,3-propane-, 1,4-butane-, 1,5-pentane-, 1,6-hexanedithiols) α,ω-dithiols or 3,6-dioxa-1,8-octanedithiol produced N-substituted thiazacycloalkanes. Russian Text © G.R. Khabibullina, E.S. Fedotova, E.V. Tretyakova, T.V. Tyumkina, L.V. 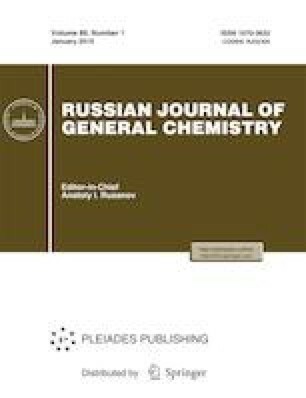 Parfenova, A.G. Ibragimov, 2019, published in Zhurnal Obshchei Khimii, 2019, Vol. 89, No. 1, pp. 31–38.